Racial harassment—hazing, theme parties, angry rants, and so much more—is, sadly, still a regular feature of life on college campuses. We know all too well the litany of such events, and the inevitable press releases, meetings, task forces, and reports that follow. And, after a pause, the next vicious incident. The cycle of harassment is odd, when you think about it, because most of us are pretty nice people, most of the time. And when it comes to race, most of us (most of us who are white, at least) believe that Nice is what it’s all about—that if we are pleasant, or at least inoffensive, we have done our part to make our campus inclusive. To which I say: Forget nice. Not as a personal virtue of being gentle or kind, but as an institutional strategy for inclusion. I am a social psychologist and faculty member in a learning community focused on understanding issues of race and culture at Hope College, in Michigan. In class, in workshops, on trips, and in the residence hall, we have created a strong community among students from many backgrounds—which has fostered cross-cultural understanding and improved graduation rates, and has tripled the number of black and Latino students at Hope in the past 10 years. The student body is now 85 percent white, down from 96 percent a little more than a decade ago. Nonetheless, it is difficult to be on the margins of any campus where the power structure remains overwhelmingly white. When one of our minority students is subjected to harassment, I see up close the shock and pain that follow. Often, harassment crystallizes myriad other, smaller events that the student has been experiencing all along. As a rule, harassment isn’t the exception to the student’s experience of the campus; it’s the exclamation point. You don’t have to ask why some people attend your school but others don’t, and why some graduate but others don’t. You don’t have to recruit a diverse faculty and staff to serve an increasingly diverse student body. You can redefine daily “micro-aggressions“—a racially tinged assumption, an offhand remark—as innocent, unintentional, or unrepresentative. Only macro-aggressions—major incidents that make the news—have to be taken seriously. You can offer diversity opportunities for those who are interested and let everyone else off the hook. You can measure success by the number of people who come hear your “diversity speakers,” while paying no attention to what those speakers say. You can have an administration in which nearly everyone who makes key decisions is white—and, quite often, male—and refuse to acknowledge that’s a problem. 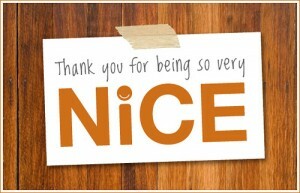 Most important: If you’re nice, you can believe it simply isn’t fair for anyone to ask for anything else. If the sole requirement for being inclusive is for those of us in the majority to be individually nice people, and we believe that we are, then all other requests, complaints, or perspectives are unworthy of serious attention. You can dismiss the dissatisfied as bitter, angry, or unreasonable. That is why most universities respond quickly, if not always effectively, to incidents of racial harassment—once they are publicized. When people aren’t nice, they puncture our rationale for keeping things as they are. But the things that really matter are far more important than nice: Genuine community. Representative leadership. Respect. A seat at the table. A voice that is heard. When you’re in the minority, you don’t want to stand on the margins while a nice majority continues to operate as if you weren’t even there. You don’t want to have to be a “good fit.” You want to really belong, to be recognized as someone who has something important, something positive, to contribute. The irony is that when an organization is truly inclusive—when leadership is representative, and policies and practices reflect a wide range of traditions and perspectives—those in the majority don’t have to work so hard at being nice. In 2007 four white students at the University of the Free State, in Bloemfontein, South Africa, made a video mocking a group of black custodians. The video showed one of the students apparently urinating into a bowl of stew, which was later served to the custodians. 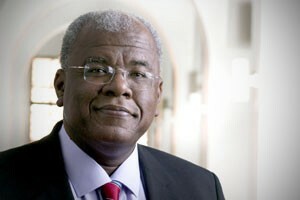 Although the students later pleaded guilty in South African court to injuring another person’s dignity, the university’s then-new rector, Jonathan Jansen—the first black person to hold that position—did not seek to punish them, but instead took a number of steps to make the university more inclusive. climate; revised the undergraduate curriculum to promote a cross-disciplinary approach to solving key social problems; and worked closely with low-performing high schools to increase the number of qualified black students attending the university—all while raising admissions requirements. effectively and respectfully with one another. The second dimension is access to power and resources. The United States is highly stratified by race; our life opportunities vary sharply by the racial or cultural groups to which we belong. That’s why nice will never cut it. Is it possible to follow Jonathan Jansen’s lead in our own colleges? To strive for representative leadership? To incorporate the history, traditions, and values of many groups into our curriculum? To develop a strong community that affirms both common goals and diverse perspectives? To embed inclusion into our daily lives and continuing efforts, abandoning the hope that a one-time fix will suffice? Not only would that lead to fewer racist incidents, but it would also make our responses to them more effective and more credible. More important, it would ease the daily grind of marginalization that gives overt harassment such power. And that would be a whole lot better than nice. — New York Times columnist Brent Staples, writing on November 10, 2015, on the announcement that student protests–including the football team–led to the resignation of University of Missouri president Timothy Wolfe.